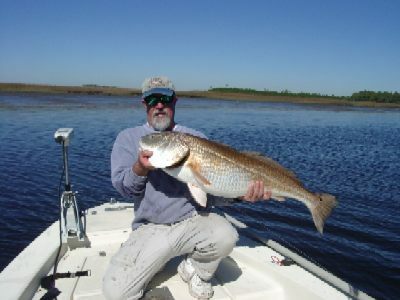 Relax and enjoy Backwater Fishing Adventures with Captain David Borries of Jacksonville, FL. Soak up the scenery and seclusion that Northeast Florida's Intracoastal waterways, creeks, and fishing holes offer. For over ten years I've been taking people out to local waters that offer some great fishing for trout, reds, flounder, and much more. Half Day, Full Day, and Night fishing charters are available. But if your interest isn't fishing perhaps a little sightseeing is for you. Experience North Florida wildlife; manatees, egrets, ospreys, dolphin and more in a day's adventure. 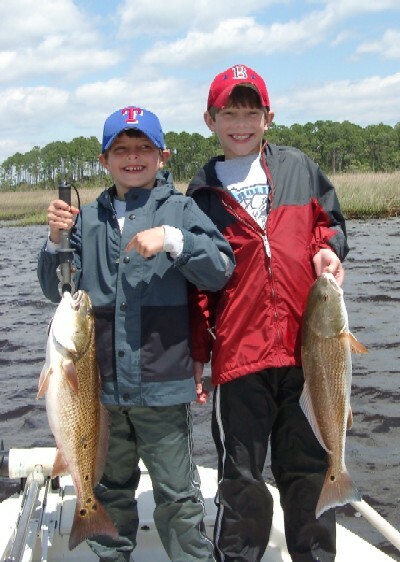 Enjoy fishing on an 18 foot flats boat with plenty of room for three anglers. There's a polling platform and a trolling motor to get you back into the flats and small feeder creeks. You supply the desire and I supply the equipment and expertise; rods, reels, bait, tackle and fishing licenses. In addition I have sodas, water, light snacks for the day, and I keep a camera on board for that great catch. Remember to bring a hat, sunglasses, and sunscreen for the Florida sun. Backwater Fishing Adventure hats and t-shirts are also available and make great souvenirs. 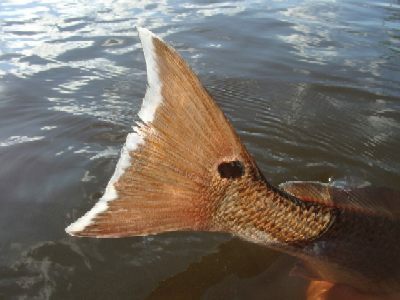 Contact Us Copyright (c) 2005-2018 Backwater Fishing Adventures, All Rights Reserved.